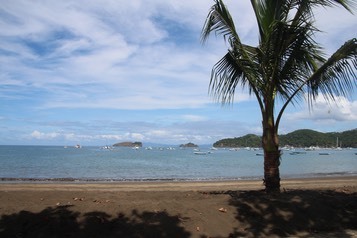 We entered Costa Rica from Chiquita in Panama, which is banana town. We had a one way bus ticket to the capital where we intended to catch an onward bus to Nicaragua. For the first time ever, the immigration authorities demanded proof of onward ticket. I managed to blag our way in using our flight home from Mexico City as proof. A Honduran guy on board is taken away when the bus inspection uncovers military grade walkie talkies in his luggage. It is raining hard when we reach San Jose, and to everyone's amusement I fall off the bus. We grab a taxi who takes us to the bus office, to get our tickets before heading to a nice hotel he knows. Despite being a recommendation from an obviously rewarded driver, it is cheap and clean and we get a nice balcony room with a view of town. We found a really cool bar decked out in a football theme and passed a nice night. They have a cute habit in Central America of not clearing empty beer bottles from your table until you leave. Some tables in here were busting to overflowing and provided ample evidence that the world really is fuelled by beer. Returning to do the country properly after our previous flying visit, we start in San Jose after flying in from Cartagena, via Panama. 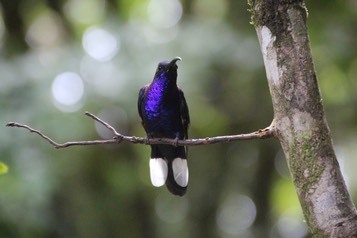 This was a rest spot before heading in a minibus over to the Caribbean side of the island to Tortuguero National Park. 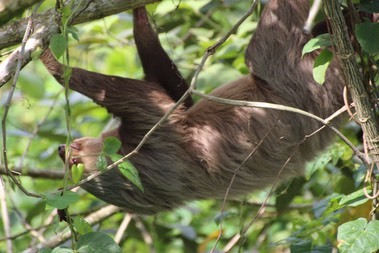 On the journey our guide stopped in a good area and we achieved our first sloths. Got to be the cutest animals in the world. We chose to stay in the town rather than a plush lodge which was probably the wrong decision as we had no pool and the beach was infested with flies. 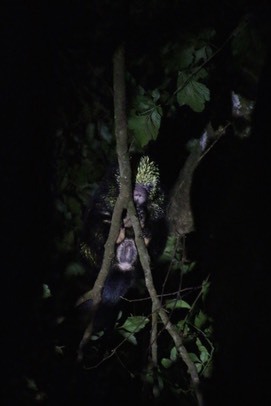 Grim, but we got the wildlife we wanted, good birds and more sloths before we moved onto the prime tourist spot in Costa Rica which is the Monteverde Cloud Forest. Well set up for tourists, nice trails in the parks and good food/drink available in town. 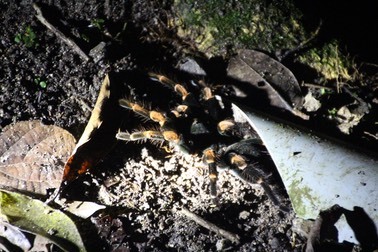 A night safari produced the goods with Tarantulas, Kinkajou, sloths, snakes and a Porcupine. 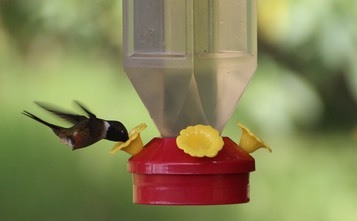 Hummingbird feeders were strategically located at bars, cafes and restaurants. From here we headed to the pacific coast for some swimming and snorkelling and our first open bar. Hurrah.